During the 1870s time was pumped beneath the streets of Paris. Spread out under the city was a network of pipes filled with compressed air from industrial steam plants. The pipes emerged into homes and commercial premises, where they were connected to clocks. From a control room in the rue du Télégraphe, a pressure pulse periodically rippled through the system of pipes beneath the streets, pneumatically synchronising the clocks of the French capital to the standard time of the Paris Observatory. Paris’ pneumatic system was a particularly ingenious way of keeping its citizens on time. But there are many such technological networks hidden just beneath the skin of cities everywhere. They are part of the complex tracery of subterranean veins and arteries that sustain life in the urban body. Our modern cities and exurbs could not exist without their urban infrastructure, from subways and sewers to fibre-optic cables. Yet most city dwellers spend their lives in blissful ignorance of the complex networks beneath their feet. Each day, millions of gallons of water gush unheard and unseen into the city, while drains and sewers channel a similar quantity of waste away. Power grids are electrified by gigawatts of energy and cables with petabytes of digitised information – videos, telephone messages, music, e-books, photographs – carried beneath the city in a ceaseless torrent of data. As well as the engineered infrastructure that honeycombs the urban underworld, city dwellers are also surrounded by less tangible but equally vital systems, such as those controlling the traffic or maintaining security. Whether you are stepping on to a bus or dropping a piece of litter in the street, you are interacting with citywide services that are not only essential to the running of the city, but which shape the lives of those who live there. Like so many aspects of urban life, infrastructure is not new. In the third millennium BC, the city of Mohenjo-daro, northeast of modern Karachi, provided its inhabitants with fresh water through a sophisticated system of clay pipes. There was also a network of covered drains. In ancient Rome, eight aqueducts brought more than 220 million gallons of water into the city each day, supplying public baths and nearly six hundred fountains, as well as topping up the fish tanks in Trajan’s Market. Rome’s sewer system was without compare in the urban world. It was constructed over a long period of time, beginning in the sixth century BC and improved continually until it was completed around 33 BC. Some of the cloacae (sewers) were so large that a cart full of hay could pass through them. The oldest and largest is the vaulted Cloaca Maxima, the central sewer, whose five-metre arch is still visible today, opening on to the River Tiber below the Ponte Rotto. In fact, burials exceeded births in most large cities, yet people continued to stream into the cities from the countryside. Indeed, immigration has always been essential to the economic growth of cities (although new arrivals did not have immunity to urban diseases and so were more likely to fall victim to epidemics). Along with improved medical services and treatments such as vaccination, creating adequate infrastructure to provide clean water and to dispose of waste and sewage was an essential stage in the development of healthy cities. By the 1850s London’s population had risen to two and a half million, in a city 48 kilometres in circumference. Even a modern planned city would struggle to cope with a situation in which its population more than doubled in 50 years. And yet this was a city whose infrastructure had changed little in centuries. London’s ancient sewers had been built to deal with rainwater and until 1815 it was in fact illegal to use them for human waste. Instead, this was deposited in the city’s 200,000 cesspools. Houses were often built over cesspools. It was not unheard of for people to fall through rotten floorboards and drown in the cesspools below. Networks of privately owned water pipes were installed in British cities from the middle of the 18th century. Being able to fill up a cup with water in your own home was a wonderful experience for city dwellers, at least for those who could afford it: even in 1821, less than two-thirds of London’s houses had access to piped water. But despite thousands of deaths from cholera, it was not until what became known as ‘the Great Stink’ of 1858 – when the stench rising from the river during an exceptionally hot summer was so appalling even parliament had to close – that Her Majesty’s Government was forced to accept that London urgently needed a new sewer system. Finally, the city embarked on what was to be one of the great engineering projects of the 19th century. Today’s Londoners have reason to be immensely grateful to the project’s engineer, Joseph Bazalgette, whose tireless dedication has created a safe environment for them to live in. The 132 kilometres of sewers were built using three hundred million bricks and nearly a million cubic yards of concrete. The sewers were beautifully designed: ovoid in profile, with the pointed end of the egg directed down. London’s sewer system became a shining example of how public works can transform life in a city, not just for its current inhabitants, but for future generations. 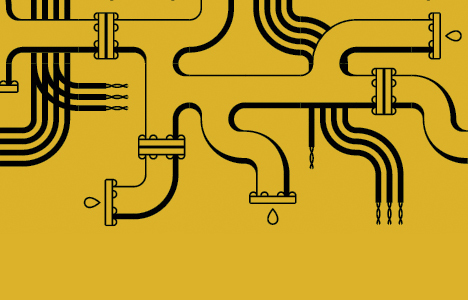 Urban plumbing is just one, albeit vital, aspect of the city’s infrastructure. The remarkable technological systems on which modern urban life depends are a reminder that the city is a uniquely human achievement: an artificial environment forged by our ingenuity and skill. The city is a machine, brought to life by our needs and desires. Modern city dwellers take street lighting for granted – until they take a turning down an unlit and unfamiliar street. In 16th-century Paris, householders were told to place candles in their windows at night in order to make the city’s streets safer. In the early 18th century, London was probably the best-lit city in the world, with some 5000 flickering lamps burning whale oil. A visitor reported that the view of the city and its street lamps created “a most striking effect, particularly at a distance”. New York followed London’s example, introducing oil lamps on its sidewalks from 1762. But by the early 19th century, oil began to be replaced by gas as a fuel for street lamps. Usually produced from the coking of coal, gas gave rise to the first urban energy network. As the cities of the industrial age grew ever larger and their streets more labyrinthine, street lighting represented a huge advance, encouraging sociability and night life. Cities – the ultimate man-made environment – no longer had to follow the natural rhythms of the sun. The first experiments with electric lights in London began in 1858. Twenty years later electric arc lights were used – at great expense – to illuminate the front of the Gaiety Theatre in the Strand and in 1879 the new Victoria Embankment was also lit by electricity. The incandescent light bulb was born that same year, invented independently by Thomas Edison in America and Joseph Swan in England. Everyone was convinced that electricity would be the energy of the new century: the city of the future would be wired. At the dawn of a new millennium, electricity captured people’s imagination. The current flowing through the city’s wires would power a dynamic, idealistic age and the capital city of this new era would be New York, a city of skyscrapers shining with artificial light. Just as visitors to London in the 18th century marvelled at its lamps twinkling in the darkness, so the illuminated skyline of today’s cities from New York to Hong Kong has become one of the iconic images of our urban age. New York City’s power grid is the largest underground electric cable system in the world – some 140,000 kilometres long, enough wire to encircle the globe more than three and a half times. Without electricity to power its lights and elevators, the vertical city could not exist. New York consumes as much electricity as an entire country – about the same energy each year as Greece. The summer peak load in New York City is about 11,000 megawatts. But city living represents an efficient use of energy – New Yorkers consume 2000 kilowatt hours per year, about half the national average. Nevertheless, energy usage here and elsewhere continues to grow, which is a problem at a time when every city is working to reduce its carbon footprint. New York’s first telephone exchange opened at 82 Nassau Street in 1879 and the city’s first telephone directory contained a mere 252 names. Today, there is enough telephone cabling beneath the city to reach the sun. But the world’s most wired and connected city is the South Korean capital of Seoul. Nearly every household in this modern high-rise city of 12 million people is linked to the cable network and can access the internet at a speedy 100 megabits per second. (Currently, in the United Kingdom the average speed for home broadband is four megabits per second.) By the end of 2012 Seoul intends to upgrade its network to reach lightning speeds of up to one gigabit per second. The whole city has also been transformed into a wifi hotspot, thanks to an innovative wireless network that allows commuters on the subway to watch TV on their mobile phones. Those same commuters pay for their bus and taxi journeys with a radio frequency identification (RFID) card containing a smart chip able to calculate the distance travelled and the fare due. Seoul is also upgrading itself into an ‘open data city’ in the belief that an informed city is a more efficient city. Thanks to the ‘Ubiquitous Seoul’ (‘U-city’) project, Seoul’s online citizens will be able to access real-time urban data from sensors around the city, such as air-quality information and traffic updates. Ozone alerts will be sent out to those with respiratory problems and commuters will be instantly warned about the shifting pattern of traffic jams. New homes in Seoul are being designed with ‘Ubiquitous life’ (‘U-life’) features, allowing them to be centrally controlled by a keypad or remotely with a smart phone. Forget to turn off a light? No problem. You can switch it off from the train using your phone. More controversially, perhaps, they are even planning ‘U-safety zones’ for children, who will be given a ‘U-tag’ that can be monitored by CCTV systems. Parents will be alerted automatically if their child leaves a designated zone, such as a school, and the child can then be located using their mobile phone signal. Seoul made the decision to invest in this high-tech urban infrastructure over a decade ago after entering a severe recession. Just as the Industrial Revolution transformed cities and the lives of their inhabitants, so too the information revolution will undoubtedly change urban environments and require existing infrastructure to be radically updated. For the old cities of Europe, retrofitting these new technologies will take time and the cost may well force planners to reconsider how infrastructure is designed so that cities can quickly adapt to change in the future. Increasingly, the infrastructure of tomorrow’s smart cities will be controlled by computers. Already some of the largest technology and computing companies, such as Cisco and IBM, are designing software that will integrate all the vital systems that ensure cities run smoothly. By bringing these disparate systems together, IBM claims it will allow cities to “operate like living organisms, sensing and responding quickly to potential problems before they occur to protect citizens, save resources and reduce energy consumption and carbon emissions”. Cities are already being built around the requirements of the new information technologies. In the city of New Songdo in South Korea, Cisco is implementing its vision for the smart cities of the future. Under construction since 2001, New Songdo is being built on a man-made island in the Yellow Sea, 64 kilometres southwest of Seoul. Its ambitious plan involves creating an electronic central nervous system for the city. The city will “run on information”. A pervasive network of sensors and smart chips, spread throughout the city, will transform what is usually a collection of separate machines, buildings and networks into a single urban organism, a sentient city. Just as the parts of the city will talk to each other electronically, so will the inhabitants. Every home will be equipped with TelePresence screens, which will be the citizen’s interface with the urban operating system and a communications system for everything from booking a restaurant table to talking to your doctor. The city’s data and services will be instantly available without the need to step outside your apartment. New Songdo city is due for completion in 2015. It is viewed by its developers, the New York-based Gale International, as the first of many such smart cities across the region. And who knows – as the technology improves, maybe eventually you will have an app for your city. One day the city itself may even talk to its citizens. 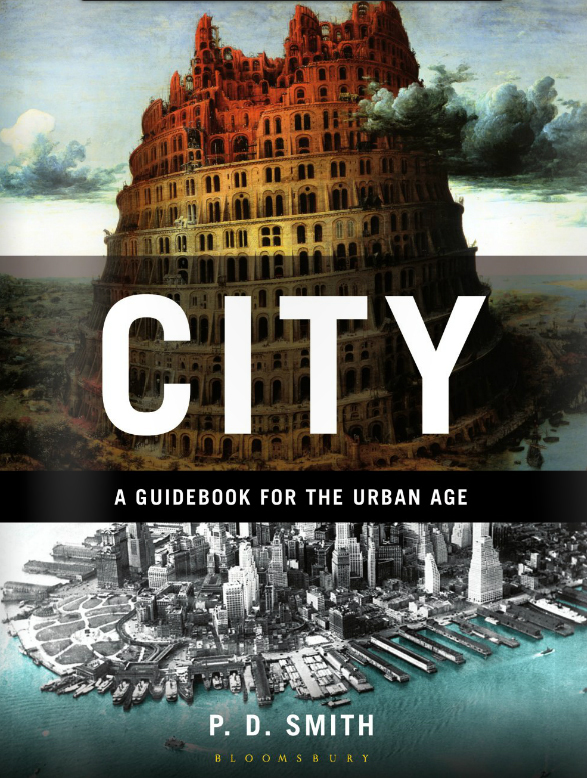 Extracted from PD Smith’s City: A Guidebook for the Urban Age (Bloomsbury, 2012). With thanks to PD Smith and Bloomsbury.